Now that you have installed the Power FC, it is time to start taking advantage of some of its capabilities. If you have installed an aftermarket electric fan, that did not come with a thermostatic control, the PFC can be programmed to turn it ON and OFF at any desired preset temperature. First, we need to wire in a relay. 1. 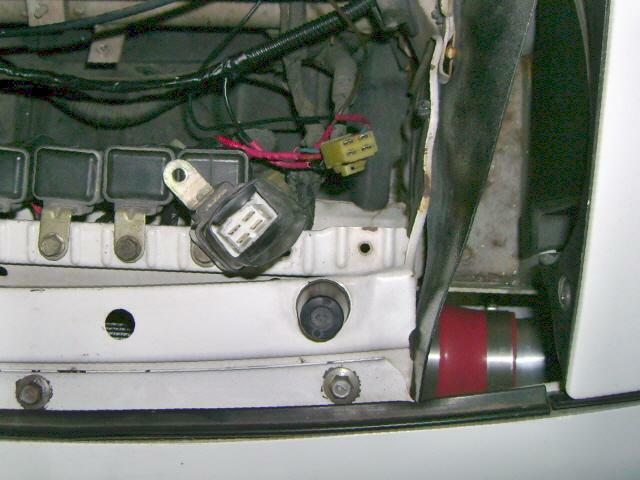 Our Banzai Racing PFC Harness Adapter is configured so that it can be used in conjunction with a relay to activate the Power FC to turn on an electric fan at a programmable water temperature; this is the Fan Relay Trigger, which previously functioned as the (GREEN single pin) diagnostic connector, located behind the driver-side headlight (Pic #3). 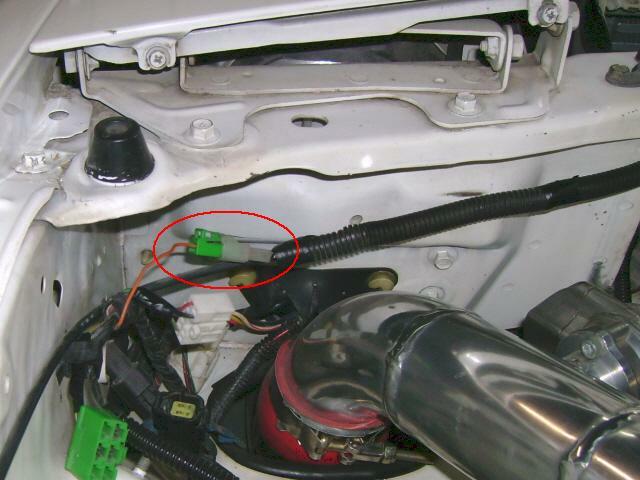 [On the S4 models this is the ORANGE wire on the GREEN 2-pin connector (Pic #4)]. 2. 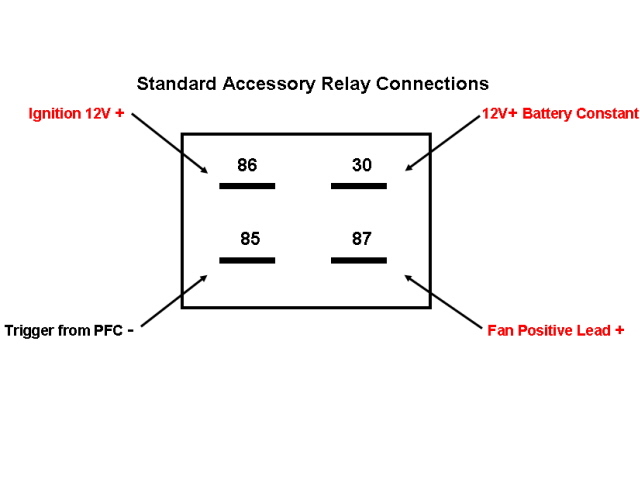 Run the required wires to the connector using the Relay Connection Diagram. The diagram shows the connector face; the wires exit the back. 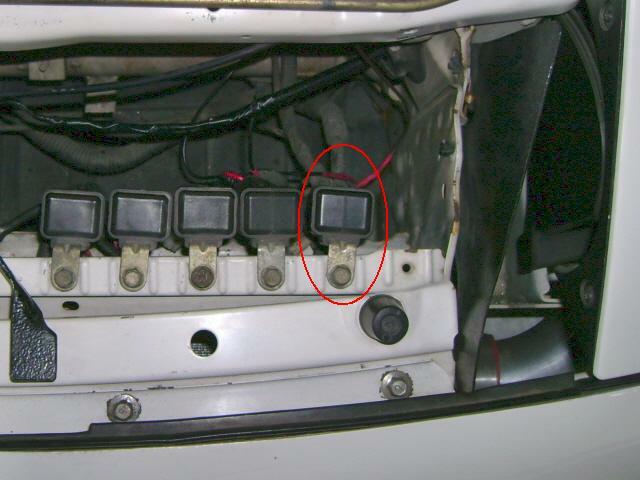 a) Run the 12V constant wire directly to one of the 30 amp fuses in the fuse box or directly to the battery with an inline 30 amp fuse installed. b) You can tap into one of the other relays for the 12V Ignition connection. 3. 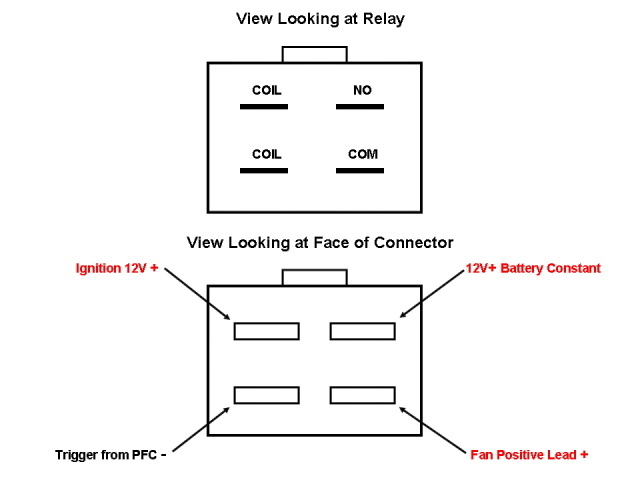 Consult the E-Fan manufacturer's wiring specifications to determine the positive lead required for your desired direction; pushing or pulling. a) If mounted on the engine-side of the radiator, it needs to be pulling. 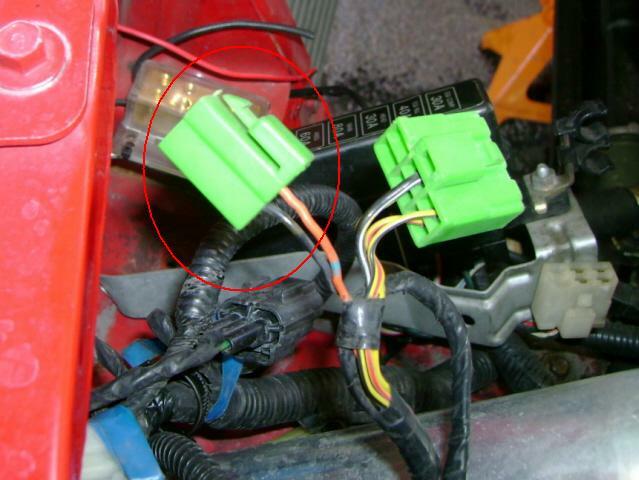 b) Connect Fan ground wire to chassis. 4. Access the PFC with a Datalogit. Go to tab 'Settings 3'. You will see 'Fan vs Water Temp'. a) Change 'Fan # 2' to desired temperature. NOTE: Changes to Fan #1 will have no effect. b) Start with a very low setting (35° Celsius e.g.) to verify that the fan is turning on. If everything works, then you can set it at your desired temperature. c) We have ours set at 87° Celsius (approx. 190° Fahrenheit) which allows the thermostat to fully open. 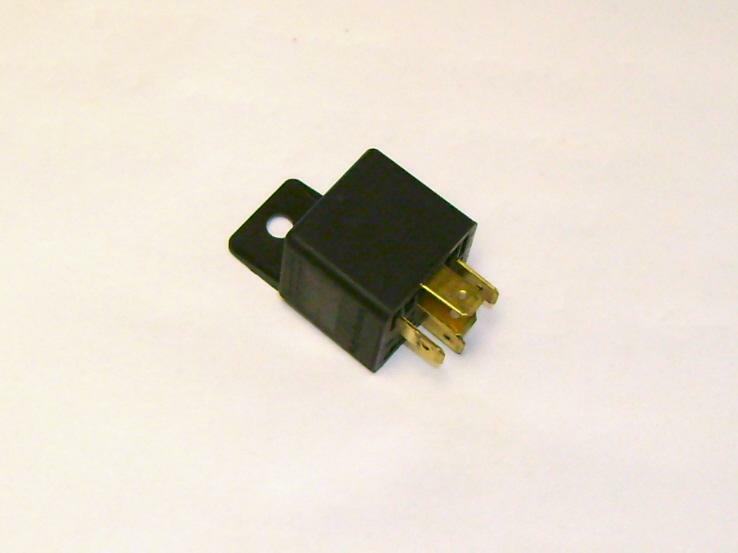 If you do not have a factory relay available, you can use a Standard 12V 30 amp Relay from your local parts store. Follow the above procedure using the wiring diagram below.